When you set up a new retail business, one of the most important decisions you’ll ever make regarding the business is that of choosing a manufacturer for your products. There are businesses that choose to work with a local manufacturer, whereas others choose to source their products from Asia or South America. In recent years, China has become a popular product sourcing destination, and for good reason. Other than the fact that there are many cheap manufacturing companies in China (which helps you save a great deal of money and allows you to keep the retail price of your products within a reasonable range), it is also a good idea to work with a China-based manufacturer because plenty of hardware are already produced in China. This is especially true if your business belongs to the fashion and accessories or electronics industry. In many cases, the word “cheap” goes hand-in-hand with low quality. In the case of China manufacturing, however, there are many Chinese factories that have real artisans on their team and can provide you with high-quality products at amazingly low prices. But you have to be careful in choosing the manufacturer you work with because the growing popularity of product sourcing has also given rise to countless unscrupulous businessmen and substandard factories. One of the best ways to ensure that you choose the right manufacturer is to visit China at least once so you can go on factory visits before signing a contract with any supplier. This is true whether you choose to hire a sourcing agent or not. If you do choose to hire a sourcing agent who can assist you in the sourcing process, the agent can accompany you on your factory visits and discuss the strengths and weaknesses of each manufacturer with you. Unless you plan to sell the usual t-shirts and jeans or any other product that are already out on the market, prototyping is the first step you need to take in the manufacturing process. You could create a prototype of the product/s you have in mind by yourself or hire someone else to create the prototype for you. In many cases, you won’t even have to create a fully-functioning model; you just need a tangible product that’ll help manufacturers get a feel for what you want to achieve. Of course, it would be ideal if you could create a prototype that functions exactly the way you expect your product to function. It would make the manufacturing process a lot easier if the prototype you present at the outset is one that completely reflects the quality and level of functionality you want the final product to have. This way, prospective suppliers will know from the start exactly what you expect from them in terms of output. Ideally, you’ll want to have one prototype for each prospective manufacturer you plan to speak with. If you choose to get the prototype made by someone else, you have the option of getting it made by a techo (an individual who creates prototypes as a business or hobby), a protoshop (companies that specialize in creating prototypes for various businesses), or an established manufacturer (perhaps a local company that manufactures the kind of product you have in mind or something similar). Your choice will depend largely on your budget as well as the specific requirements of the product you have in mind. You can go through the process of finding suppliers on your own—ask for referrals, go to trade shows, do some online research. But as mentioned earlier, it is often easier and more advisable to seek the assistance of an experienced sourcing agent. Wherever possible, choose a sourcing agent based in your country but with a team based in China. This helps you ensure that the agent knows how trade works in China, particularly where overseas product sourcing is concerned. It is especially advisable to work with a sourcing agent if this is your first time to go through the process of importing goods. Yes, it will entail additional cost, but once you weigh the benefits of having a knowledgeable team on your side, you’ll realize that the extra expense is well worth it. With the help of an experienced sourcing agent, you can avoid costly setbacks and ensure that the entire process—from finding suppliers to getting your products delivered—will go smoothly. Among other things, the agent can help ensure that your products are made according to specifications, there is no problem with shipment, and deadlines and quality standards are met. The agent can also pave the way for smooth communication between you and your Chinese suppliers. 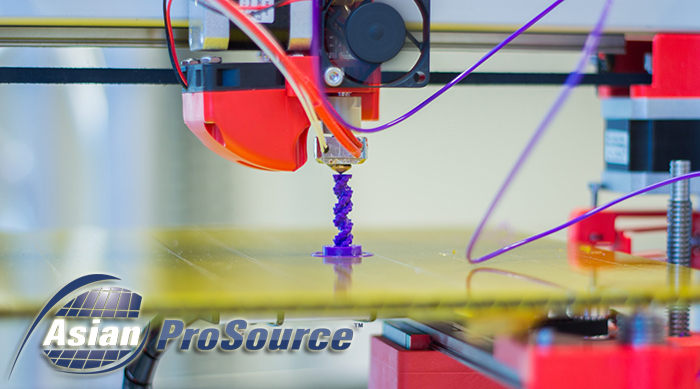 Once you have a list of prospective manufacturers and prototypes for each of them prepared, it’s time to send those prototypes and get quotes from each of your prospects. When you ask for quotes, make sure they are for exactly the same thing. The quotes should be for the exact same product, the exact same quantity, the same materials used, and the same delivery schedules and terms. That is the only way you can really see which manufacturer offers the best terms. Note that the quotes submitted could include terms like FOB China or FOB (destination port). FOB is a trade abbreviation that means “Free On Board.” It refers to terms of sale wherein the quote given includes all costs up to the delivery of the products to the specified port. FOB China, therefore, means that the price quoted only covers the process up to the delivery of goods to the Chinese port; you will have to take care of costs for getting the goods delivered from China to your locality. FOB (destination port) means costs are covered up to the delivery of the goods to the destination port; you will then have to take care of costs to have the goods delivered to your storage area. Bonus tip: Factories expect you to negotiate. It is therefore a good idea for you to contact the suppliers a couple of days after receiving the quote and ask for lower prices or better payment terms. You may then compare the final quotes given before placing an order. For your first batch of products, it is often a good idea to choose more than one supplier, especially if there are two or more suppliers that offer similar pricing and payment terms. Placing a small order with each of these suppliers will give you a better idea as to which manufacturer offers the best quality and is the most reliable in terms of sticking to deadlines and delivery schedules. After the initial order, you may then choose just one or two suppliers with whom you can build a lasting business relationship. It is important to have a good relationship with your suppliers if you want your business to be around for many years. Once you have made the final decision as to which manufacturer/s to stick with for the long term, it’s time to sign a long-term contract with them and fill out a regular purchase order. Remember that these are legal documents that bind your relationship with the suppliers. Make sure every detail is covered in these documents because if you inadvertently leave something out and something goes wrong related to the information that isn’t stipulated in the contract and/or purchase order, you may have no legal recourse. It is also advisable to be aware of legal holidays and customs in China that can possibly affect the delivery date of your products. You need to plan time-sensitive orders well in advance to make sure shipment and delivery goes without a hitch. You should also be well aware of the usual delivery period for products from China to the U.S. Establishing a good relationship with your suppliers includes not having unrealistic expectations where the delivery period is concerned. Getting your products manufactured can indeed be a very challenging, stressful, and time-consuming process, but it is one of the most important steps towards establishing a successful retail business. The good news is that there are steps you can take to make the process less stressful, despite still being challenging. And one of these steps is that of making sure you find the right supplier/s to manufacture your products and the right sourcing agent to assist you along the way. When you finally see your products ready for sale and start receiving the rewards of your investment and hard work, you’ll realize everything was worth it in the end.